Postural Control is something we talk about a lot at APT. Here’s why. In occupational therapy, we often use the term postural control. You probably have a general idea what this means, but it refers to your child’s ability to maintain an upright position without support. This can be in a variety of positions, and it provides the base of support for active and goal oriented movement in arms and legs. When a child doesn’t have good postural control, it can be seen in multiple different ways. A child may fidget or move non-stop in an attempt to close in on an elusive base of support. Or, they might “w” sit in order to sit with support in order to play using their hands. Or, they might bump into their friends frequently or roll or scoot. A child who is constantly moving can be very distracted or inattentive. Without even realizing it, they are trying to find the just right position. A child who sits very still can experience lower arousal, actually losing ability to interact with the world around her. Postural can be improved in a variety of ways that are fun and developmentally appropriate. Ask your OT if you don’t know where to start. It’s tough to balance work/home life, especially when one child needs extra attention. With school around the corner, many parents are preparing for the juggling act of balancing career and family each day. Expectations for parents seem to be higher than ever: achieve at work, be the perfect parent, maintain a clean and orderly household, coordinate kids activities etc, etc. The following is a list of some helpful ideas for your family. Make some priorities for your family. For some families, activities every night are the norm. For others, this is too stressful. Decide with your family how to prioritize the important things in your family. Have a family meeting. After dinner is cleaned up, come together as a family to talk about what’s important. Does someone feel left out? Does someone need some positive reinforcement? Now’s the time! positivediscipline.com has some great ideas for family meetings. Stick to your strengths. Delegate some tasks or eliminate them based on what you know you are best capable of accomplishing. Let technology work for you. 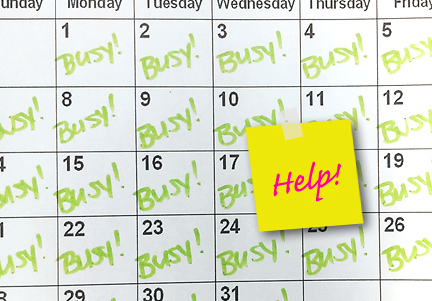 There are lots of helpful apps to assist you in coordinating your schedule. If your children are older, Google calendar allows all of you to share a common calendar right from your phone, laptop or tablet. Communicate (before you have a meltdown). Let your family know what you need. For example, older children can help cook. Tell them you need 10 minutes of quiet when you walk in the door. Let your boss know you’d like to explore options for working from home. Tell your OT you need 10 minutes to talk about your child. It’s okay to ask for what you need. Protect your time. Try to limit your texting and emailing while children are awake. Be present. We can help you work out schedules. Support networks. There are lots of local SPD support networks. Check out our bulletin boards or ask your therapist. Or just talk to the mom next to you in the waiting room. Down time. Go for a run. Get a coffee with a friend. Get some sleep! You provide for your kids. Give your family the gift of a well nourished and well rested parent. Simplify. Downsize, declutter and say “no” when you are not able to take on any more. We know you work hard, and we want to support you! photo from jeffcalloway.com. Some ideas from frasier.com. Forgive me! APT has been hard at work all summer, but your blog writer has taken a brief reprieve to soak up some rays and take some time with her own kiddos. Rest assured, the blog is not forgotten and welcomes your ideas. It’s nearly that time: Back to School! Based on how your summer has been, you may or not be cheering right now. We wanted to give you some ideas for how to ease the transition back to school for you and your children. 1. You know the drill: Routine, routine, routine! For the week before or at least a few days before your child goes back to school, keep a good predictable schedule of meals, bath tiime and bedtime. 2. Let your child take part in purchasing school supplies. Let them handle the supplies before you buy them and before school starts so they are not distracted by that awesome new folder or that pencil that clicks. You can go during off times to reduce overload. 3. Oh those new school clothes! Kids get so excited about wearing their new duds, but for our kiddos, it may be better to let them wear those new clothes once or twice before school starts in case there are any problems with fit or comfort. 4. Does your child need an eye exam? Lots of fine motor or coordination problems can be traced to visual problems. If you need a referral to a pediatric opthalmologist or developmental optometrist, let us know. 5. If your child is entering kindergarten or going to a new classroom or has trouble with new teachers, it’s a great idea to to touch base with your child’s school before school even starts. Many schools have kindergarten prep classes, start-up or other programs to help ease the first day jitters. Meeting that important new person before the first day can be very helpful. 6. Parenting for Special Needs has a great form called “Getting to Know My Child” that can help your child’s new teacher learn about your unique child. Check it out here. 7. An OT, Lesley Biehl, created a checklist for parents which may help your the classroom staff identify areas which can be adapted for your child. You can download it here. 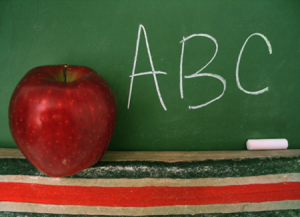 As always, you can ask any of the staff at APT for help with back to school transitions. Encourage your child to be curious, and be open to having fun!